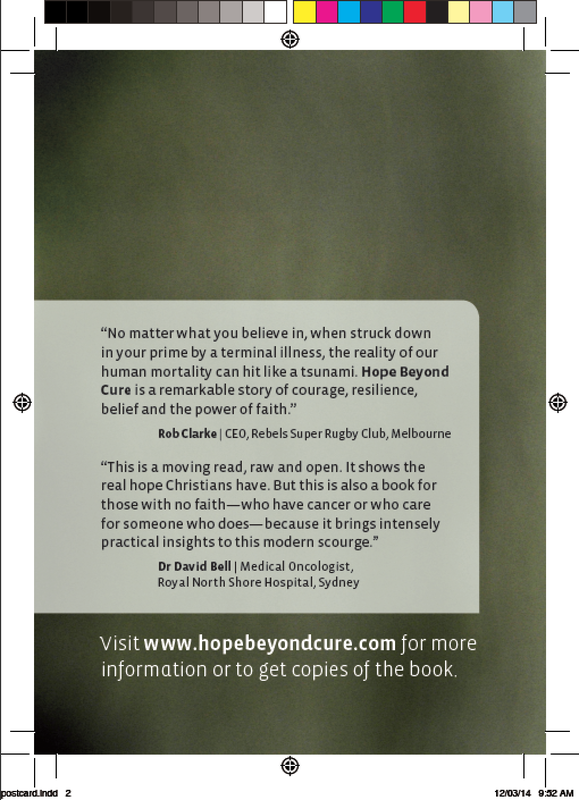 We have available promotional postcards that direct people towards this website, where they can purchase the book and find a range of articles and resources on hope for those who are living with cancer. Who are the postcards for? People who want info, but aren’t ready to purchase a book. 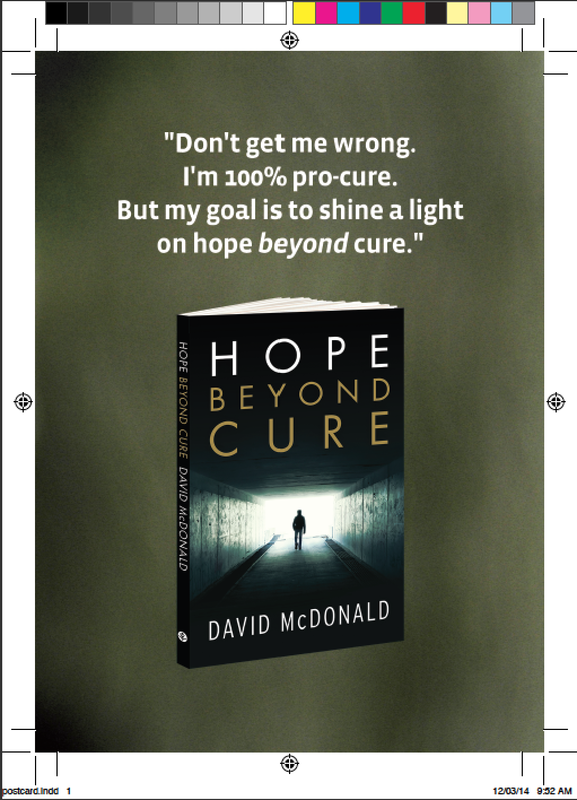 Doctors and health professionals to put in waiting rooms, on reception desks, in brochure racks, pinned on notice boards, or to give to patients whom they want to direct to the book. Churches who can’t keep much stock of the book, but want to have the info on hand when people need it. The cards look great so you can be confident in handing them to others. They include the two quotes from the back of the book to give people an idea of what the book is about.